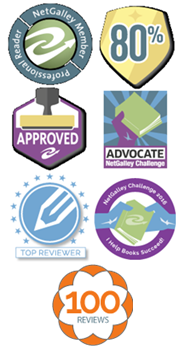 I came across Elisabeth Sanxay Holding through the site of a blogger who writes about Film Noir, John Grant’s fascinating Noirish and a further site where he was interviewed, (alas I have lost the link) and he mentioned her as a writer of quality noir. And she is, on this reckoning. An American novelist, born in 1889 married to a Brit, she started out as a writer of romantic novels, moving to the hardboiled detective genre after the 1929 stock market crash, for lucrative reasons – a popular selling genre! Not to mention, a genre she clearly had a talent for. She created a quiet, thoughtful detective in Lieutenant Levy, who features in this novel, though he is far from the central character. Lucia Holley wrote every night to her husband, who was somewhere in the Pacific. They were very dull letters, as she knew; they gave Commander Holley a picture of a life placid and sunny as a little mountain lake. She crossed it out, and sat for a moment looking at the window where the rain slid down the glass in a silver torrent. There’s no use telling him that, she thought. It might sound rather dreary. “The crocuses are just up” she wrote. You get the picture, Lucia is conventional; Lucia is rather dull. She is a kind, loyal to her family kind of woman. She is a quite well off woman, normal, comfortable. She would probably be living the American Dream were it not for the war, which sees her raising her two children and taking care of her elderly father, all by herself. She is most definitely not the kind of woman to go breaking the law. Her two children, Bee, and her younger brother David are either slap bang in the middle of rebellious late adolescence or about to enter that state. They both hold their mother in slight or extreme contempt, precisely because she is so very conventional. Bee has begun some kind of liaison with a most unsuitable older man. He is married, but that is far from the only unsuitable thing about him. Nothing has really happened, but he is not the sort of man Bee should be involved with, and Lucia, conventional though she may be, is prepared to be tigerish in defence of her children. She has had some kind of a warning show down with Ted Darby, the unsuitable man, to try to persuade him against seeing Bee. Darby has other plans however, and is using Bee for his own ends. And others may be using Darby for their particular reasons. Through her connection to her children, conventional Lucia finds herself embroiled with the kind of people she would never normally meet – a criminal world. Holding is really exploring what might make anyone cross over to the other side of the law, and the tension gets turned up and continues to rise precisely because Lucia IS so law abiding and conventional by nature and nurture, so she is constantly shocked by herself, discovering that the person she always thought she was is not the person she really is, when pushed to the limits. This is the kind of crime writing I enjoy most – the psychology of ordinary people finding themselves in extraordinary situations. 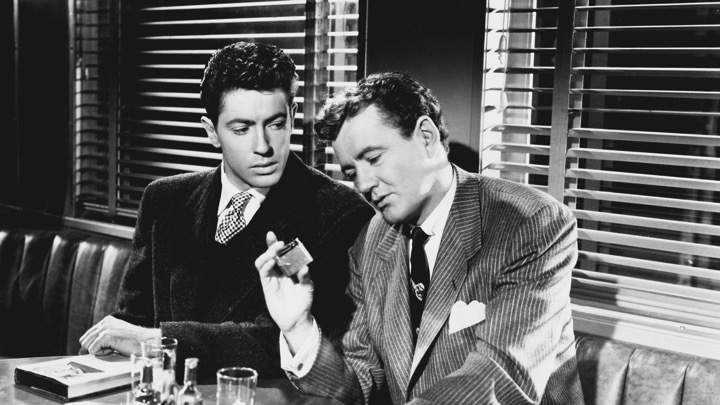 Holding is superb on relationship, superb on characterisation; it is these that drive plot. She does not dwell in loving detail on the gruesome grisly blow by blow accounts of violence, the vulnerability of damaged flesh; her interest is in the ensuing vulnerability of psyche. I found Holding’s book taut, well written and absorbing. If at times Lucia’s conventional passivity was frustrating, and her sense of herself involved in things a woman like her just doesn’t do, that is purely down to the fact that these times are different from those times, and Lucia’s conventional naiveté would have been normal and expected. 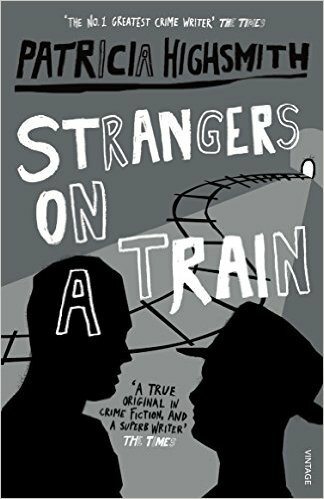 Strangers On A Train, is, as is usual with a Highsmith novel, intriguing. Two men meet by chance on a long, overnight, train journey. Wealthy, dissolute, needy, alcoholic Charles Bruno is classically and dysfunctionally Oedipal. He hates his father, and is unusually close to his mother who is doting and overindulgent. Bruno has achieved nothing in his life, and is progressively wasting it, surrendering to infantile ragings and sulkings, unable to take responsibility for himself. He is nevertheless a man of high intelligence, possessed of a curious puppydoggish charm, with an odd sort of compulsive charisma which can overpower seemingly stronger characters. Guy Haines is his (seemingly) polar opposite. He is a rising star in the world of architecture. A man of vision in his field, he is creative, dynamic, self-motivated, hard-working, innovative and highly ambitious. He is clarity and light to Bruno’s muddy, confused formlessness. However, Guy does have one seemingly fatal mistake in his past – an early marriage to a chaotic, feckless and unsuitable woman. The reason for Guy’s presence on the train is he is travelling to Metcalf in order to insist that Miriam gives him the divorce he has been after for so long, and which she is withholding. And this despite the fact that the marriage ended due to her infidelities. Guy is intending to marry his true soulmate, Anne, a woman who is his own source of lightness – self-motivated, warm, creative, balanced and intelligent. She embodies the clarity, reason and intelligence he aspires to develop still further in himself. So what could two such dissimilar men find to connect them together, following a passing-the-time conversation on a long journey? Bruno unveils a fantasy, a seemingly offensive and ridiculous idea – the two men, who are thrown together by chance, unknown to each other, unlikely to ever meet again, should commit the perfect, because motiveless, murder for each other. Bruno will kill Miriam; Guy, Bruno’s father. Now of course upright, cerebral, reasoning, Plato-reading Guy recognises that Bruno is a little deranged, and quite pathetic…………. Clearly things are going to happen, and the central relationship in the book will be that between the two diametrically opposed men, one `good’ one `bad’, one strong and one weak. And it is the subtly insidious changeover between the two, how the weak becomes strong, and the strong weakened. Highsmith is always fascinatingly deeply delving into dark psychology, into the shadow self, and is terrific on sabotaged lives, particularly where the sabotage is self administered. She sets up from the start the reader to be on the side of the upright Guy, who is always referred to in narration by his first name, just as in the third person narration sociopath Bruno is distanced from us, the reader, by using his surname. It took me some time to finish this book – my hands were sweating too much, and I was feeling too nauseous and anxious. As this was a re-read, I knew what was going to happen. 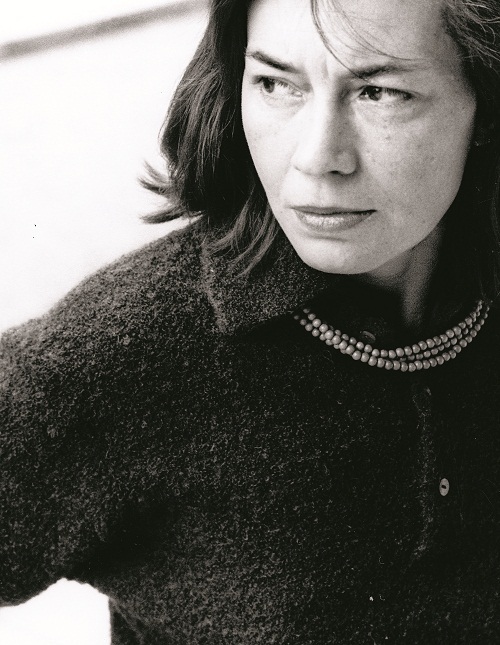 It’s Highsmith’s skill that it is the why and the how of the story which work so well , not only the `what happens next and in the end’ .